With the impending arrival of Baby Cupcake, Matt wanted to surprise Kristin with a fun weekend away (before weekends away required frequent diaper changes and carrying lots of gear). It was also a fun substitute for our trip to Turks for our anniversary, since Kristin could no longer fly. 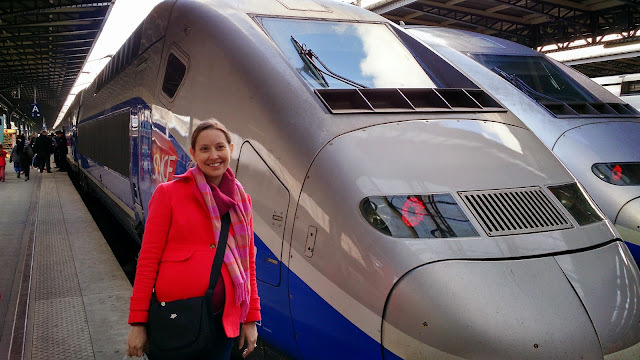 Luckily, Stuttgart has a fast train to Paris that takes only 3 1/2 hours. The train travels at nearly 200 mph at its peak, which makes for a quick trip through the French countryside. Stepping off of the train in Paris, we hopped on the Metro and arrived at our hotel between Opera and Place Vendome, an area we had not explored on our previous trips. Matt made sure a few of Kristin's favorite things were awaiting her in the room. 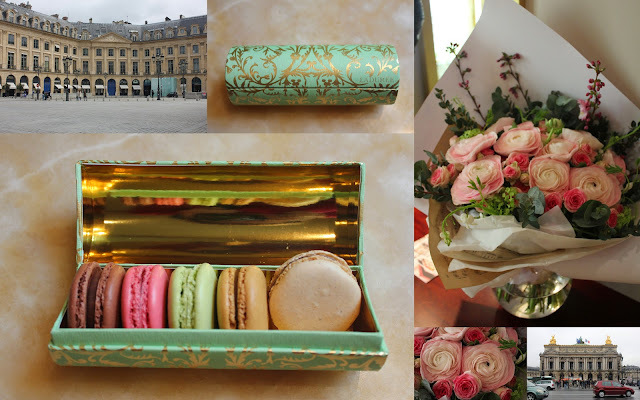 Laduree macaroons and flowers? Oui! Merci! 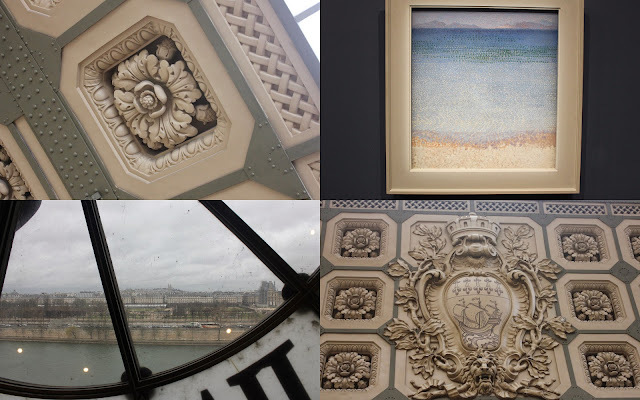 Our first adventure was to the Musee de l'Orangerie, which is home to eight panels from Monet's Water Lilies series and other impressionist works. The museum was originally built to house a collection of orange trees for the Tuileries Palace and was eventually converted into an art gallery. I usually paint rooms a single color. Flowers work too. On our second day we headed to Montmartre to check out the view of Paris and the Sacre Coeur. The weather was ... interesting -- super windy, mixed with downpours. And it was a bit of a hike up hill for the pregnant lady from the Metro station. But with all of our apartment stair climbing, she successfully conquered the ascent up a few hundred stairs. We rewarded ourselves with a delicious brunch at La Boite aux Lettres after wandering around the crowded streets for a few minutes. Our afternoon was spent at the Musee D'Orsay. Kristin received her best pregnancy-related benefit to date when the guards allowed us to skip the hour-long security line. The museum is an old railway station that had been converted into a gallery housing mostly impressionist and post-impressionist works. The beautiful architecture alone was enough to warrant a visit. If the coat don't fit ... you should probably let that lady skip the security line. 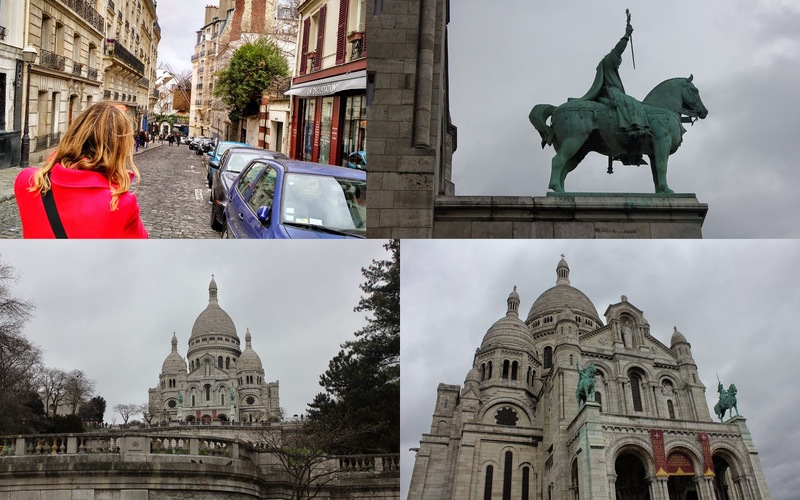 The next day was spent walking around Le Marais and the Jewish Quarter. We did a lot of shopping and eating along the way. The goal of any trip to Paris should be eating as many sweets as possible. We took the sweets challenge to heart and embarked on a private chocolate, pastry and bread tour of Paris with Carine from Tours for Foodies. 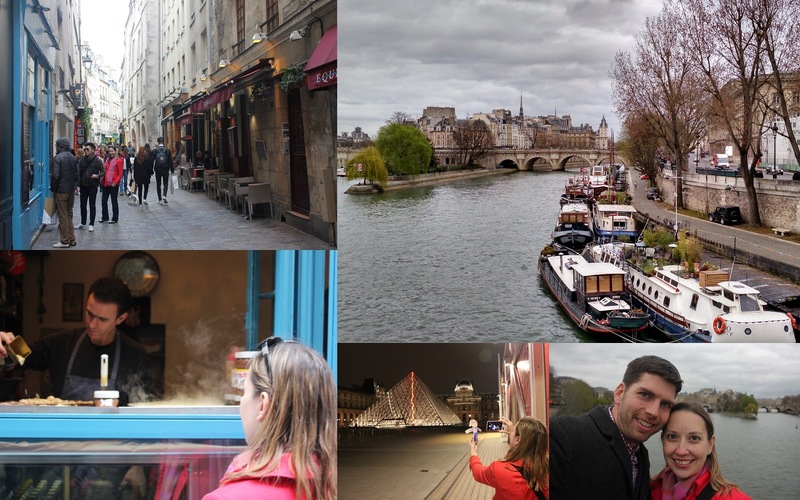 We wandered through the Left Bank for more than 3 hours, stopping at 8 chocolate, pastry and bread specialty stores. She did an amazing job describing the sweets and why they were the best Paris had to offer in that particular category. Our final stop was La Grande Epicerie, a fabulous and comprehensive gourmet food store in the center of Paris. Matt grabbed a few kinds of cheese to eat with his baguette and we headed home to Stuttgart with our bellies totally full. Bonus Travel Tip: If you can't find your iPad and you swear you didn't take it outside of the hotel room, check the roof of the safe. It may be magnetized to the top. It only took us 5 panicked phone calls to the hotel to figure that one out. And the Find My iPhone feature was a total lifesaver for tracking it down.